The simple truth “Love is blind” is the backbone of Erykah Badu's charity organization, Beautiful Love Incorporated Non Profit Development—or B.L.I.N.D. Beautiful Love Inc. was established in 1997 and provides community-driven development for inner-city youth through music, dance, theater and visual arts. Beautiful Love’s first endeavor was to establish a base of operations. Erykah chose to renovate and reopen the Black Forest Theater in south Dallas. Built in 1920, this venue had seen many changes, gone from an upscale movie theater to urban performance hall, and then closed in the late 90s. The Black Forest now serves as a community anchor, bringing people together and celebrating the art and culture of south Dallas. The Black Forest’s stage is equipped to handle full-scale shows and performances, and it has hosted both free and fundraising concerts by major acts such as Prince, Snoop Dogg, Jill Scott, Musiq Soulchild, Dead Prez, Talib Quali and ?uestlove from The Roots—each of these artists volunteering their time to share in Erykah’s vision. Erykah has invited artists, scholars and spiritual authorities to sit on Dallas high school panels and has spoken with stars such as 50 Cent at numerous area schools, conveying messages of hope, awareness and self-respect. Though Beautiful Love Inc. is centered in Dallas, Erykah’s grand vision is to expand the same spirit of solidarity and cultural understanding on a global scale. 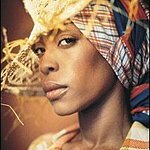 As an outreach for B.L.I.N.D., Erykah traveled to Africa in February 2003, working with youth affected by AIDS and poverty. Erykah has also received the Key to the City of Dallas and been recognized in Philanthropy Magazine for her efforts in community service. Continually searching out new avenues to fund her grassroots endeavors, Erykah has hosted the Rockin Runway 2004 fashion show with celebrity designer Richie Rich of Heatherette and is planning an upcoming auction for B.L.I.N.D., which will feature gifts from supporters such as Oprah and Michael Jordan. We don't have any videos related to B.L.I.N.D..